In the final decade of the eighteenth century, theatre was amongst the most important sites for redefining France's national identity. In this study, Annelle Curulla uses a range of archival material to show that, more than any other subject matter which was once forbidden from the French stage, Roman Catholic religious life provided a crucial trope for expressing theatre's patriotic mission after 1789. Even as old rules and customs fell with the walls of the Bastille, dramatic works by Gouges, Chénier, La Harpe, and others depicted the cloister as a space for reimagining forms of familial, individual, and civic belonging and exclusion. 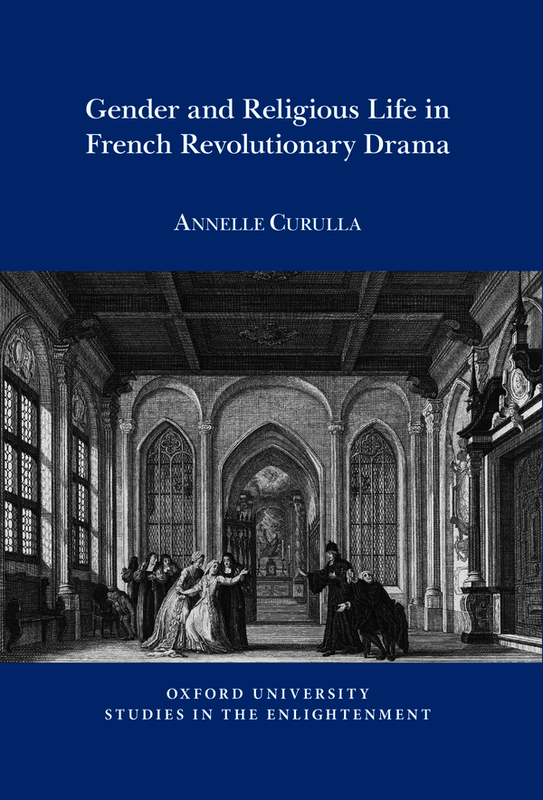 By relating the dramatic trope of religious life to shifting concepts of gender, family, religiosity, and nation, Curulla sheds light on how the process of secularization played out in the cultural space of French theatre. Annelle Curulla is Assistant Professor of French at Scripps College, USA.